Want to know where Reavers roam, the best places to hide out from Alliance patrols, or the shiniest spot for a friendly bar brawl on Unification Day? This truthsome travel guide will help you navigate your way through the Black, from Core planets such as Ariel to the outlaw badlands of the Rim worlds. Featuring a mighty amount of insight on the history, geography, and culture of these far-flung worlds, Hidden Universe Travel Guides: Firefly: A Traveler's Companion to the ’Verse takes fans on a whirlwind tour of the many worlds visited by the intrepid crew of Serenity. With in-depth information on each known world in the ’Verse, in addition to annotations by Captain Malcolm Reynolds and the rest of the crew, this informative guide is also lavishly illustrated with concept art, original illustrations, and images from the show. 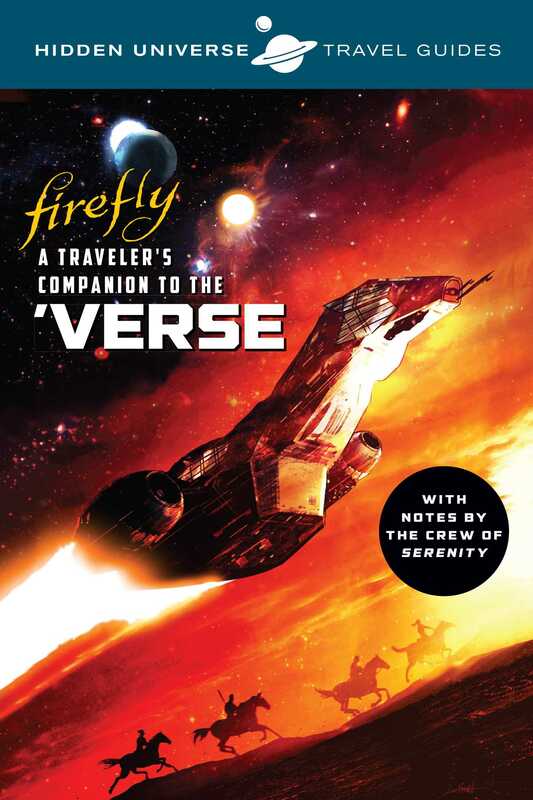 Comprehensive, informative, and hugely entertaining, Hidden Universe Travel Guides: Firefly: The ’Verse is the ultimate companion to the entire gorramn ’Verse. Marc Sumerak is an Eisner and Harvey Award-nominated writer and editor. His recent work for Insight includes Hidden Universe Travel Guide: The Complete Marvel Cosmos, Guardians of the Galaxy: Creating Marvel’s Spacefaring Super Heroes, and Ghostbusters: Ectomobile: Owner’s Workshop Manual. Livio Ramondelli has illustrated several major Transformers comics projects for IDW Publishing. Other credits include Battlestar Galactica for Dynamite, Star Wars for Dark Horse Comics, and Pacific Rim for Legendary Comics. He previously worked as a concept artist on ED Universe Online for Sony/DC Comics. More of his work can be seen at LivioRamondelli.com as well as on Instagram at LivioRamondelli.